This month, I joined friends of mine in Oshawa Canada for a weekend of presentations sponsored by Spirit Alive, a faith-based nonprofit that engages the work of aiding those who have been pushed to the underside and margins of society. Jesus’s gospel was good news to the poor, the oppressed, the disinherited. It was not post-mortem, other-world good news. It was good news here; good news now. We must critique versions of Christianity that are radically privatized and/or intentionally removed from societal change. We must also critique interpretations of Jesus’ teachings that are opiates for the vulnerable and encourage present day followers of Jesus to be passive in the face of injustice. Jesus’s gospel was simple: it was people taking care of people in the here and in the now. We must question the value of the suffering of the oppressed in oppressed-oppressor confrontations. We must be careful in our embrace of nonviolence not to mistakenly also advocate passive acceptance of abuse. This is done when we teach that suffering is redemptive. This myth replaces Jesus’ preferential option for the oppressed with a preferential option for evildoers. It makes victims the servants of the evildoer’s salvation. It is not the suffering of victims that helps evil doers see their ways. It is their resistance even in the face of threatened suffering, their refusal to be passive, that calls evildoers to make a choice. It is not the acceptance of suffering that gives life; it is commitment to life, inspite of the consequences, that gives life. The question is not are we willing to suffer? It is do we desire fully to live? Will we maintain our demand for justice and our hold on life even when threatened with a “cross?” This distinction is subtle. And I have not always understood this. I have found that it makes all the difference in how Jesus followers interpret and respond to injustice. What did Jesus actually teach? What was the gospel of Jesus? There is a radical difference between a gospel about Jesus and the gospel Jesus himself taught. A gospel about Jesus is too often focused on attaining post-mortem heaven, guilt alleviation, or privatized and individual spirituality. The teachings of Jesus were good news to the poor, the marginalized, the underside of his own society. He announced the reign of God had arrived! He taught this arrival made itself manifest in people’s commitment to one another—people taking care of people. His gospel was the call to place people over profit, property, privilege, and power. 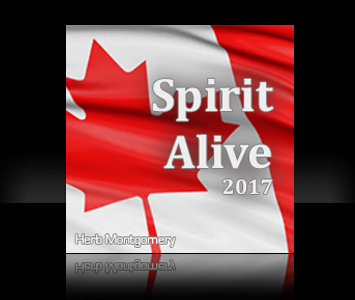 Thank you, Spirit Alive, for inviting me to participate in such a wonderful weekend with you. And to each of you who attended, both old friends as well as those of you I met for the very first time, I so enjoyed our time together. The discussions were rich and the our interactions gave me a lot of hope for the future. Thank you, each of you, for your commitment to the work of making our world a safer, more compassionate, and just home for all. I look forward to the next time our paths cross.